* Providing the A's to the 5 HIGHLY RECOMMENDED Q's today is Tuvaband – a singer-songer from Norway whose been dropping lovely single after lovely single and you should pop over to Spotify to catch yourself up. Q&A originally done in July 2018, but luckily good recommendations have a long shelf life. ‘Totem’, an album by Cancer. Even though I’ve been listening to that album for months, it’s still great. I would definitely also check out many of Dean Blunt’s albums. I would also listen to the album ‘Pleasure’ by Feist, especially ‘A Man Is Not His Song', and pay attention to the last seconds of that song. It’s definitely ‘Black Mirror’, the TV-show. I love watching scary stuff, and ‘Black Mirror’ is presenting the fears I have about the future. Fears I never really got to describe with words, is now captured in a tv-show. I like that it’s science fiction, but in a very close or likely future. I also think American Horror Story season 1 is really, really good. This might sound like a cliche, but I have to say ‘Just Kids’ by Patti Smith. 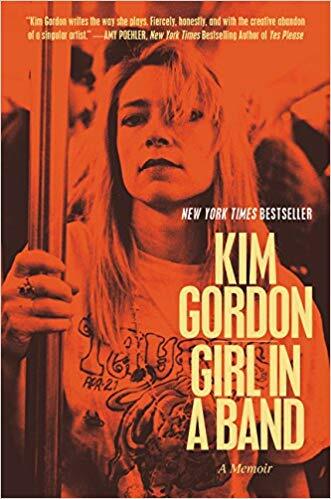 I also really like ‘Girl In a Band’ by Kim Gordon, which I am reading at moment. I think it’s a little bit hard to get into books, so when I read it must be about something I’m really into. I’m not sure how I could live without Spotify. It’s definitely the best internet/app/whatever invention that exists. I think everyone should sway their hips every morning when they wake up. Especially if they’re often stressed out (or in the moment they are stressed out). Or if they feel very old when they wake up in the morning. I feel like I’m 80 years old when I wake up, but I feel like I’m 14 after those moves.It calms you down, because the stress is physically in the hips (I’ve been told). I do it every morning, and before and during concerts. It works. OK folks, there you have it. Things that Tuvaband thinks you should consider incorporating into your day/life. Before you log off to go swing your hips to and fro, make sure you follow Tuvaband on Facebook / Twitter / Instagram and then maybe ease your way into some hip swaying with some Tuva tracks on over on Spotify.